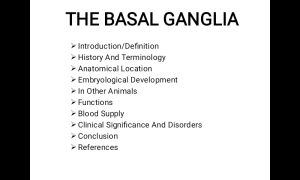 A professional PowerPoint presentation on the Basal Ganglia. 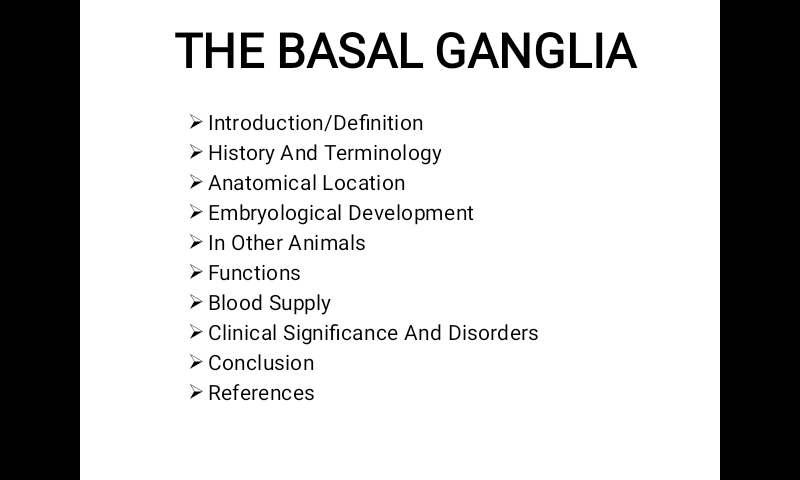 This presentation contains all the key points you kneed to know about the Basal Ganglia Including well labeled diagrams to highlight important facts , It is perfect for both Seminars and Class projects. So what are you waiting for? Place an order now and you'll be forever happy you did!